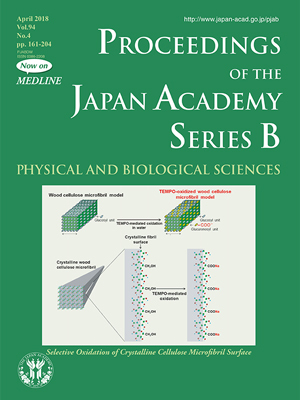 Dr. Akira Isogai has studied the catalytic oxidation of cellulose and other polysaccharides since 1996, in which a stable nitroxyl radical, such as TEMPO (2,2,6,6-tetramethylpiperidine-1-oxyl radical), is used at room temperature in aqueous conditions (pp.161-179). When TEMPO-mediated oxidation is applied to plant cellulose fibers, the primary hydroxy groups exposed on crystalline cellulose microfibril surfaces are selectively and entirely oxidized to carboxy groups to provide TEMPO-oxidized cellulose. The original crystal structure, crystallinities, and crystal widths as well as the original fibrous morphologies of native plant celluloses are maintained after oxidation. When the fibrous TEMPO-oxidized plant celluloses with sodium carboxy contents of >1 mmol/g are mechanically disintegrated in water under gentle conditions, the TEMPO-oxidized cellulose fiber/water suspensions turn into highly viscous and transparent gels. Electron microscopy observation revealed that these gels consist of completely individualized TEMPO-oxidized cellulose nanofibers. 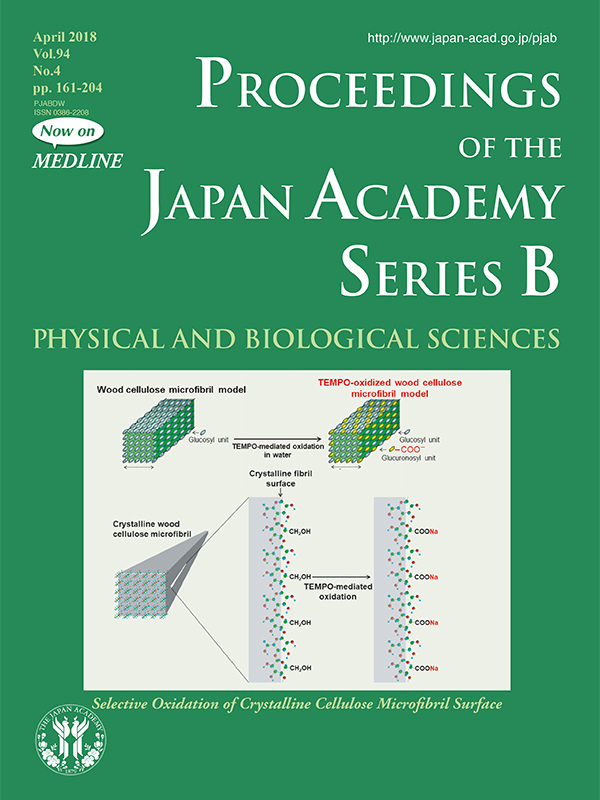 Because anionically charged sodium carboxy groups are densely and position-selectively present on crystalline cellulose microfibril surfaces in TEMPO-oxidized celluloses giving glucose/glucuronic acid alternating co-polysaccharides linked with β-(1→4)-glycoside bonds, osmotic effects and electrostatic repulsion effectively work between cellulose microfibrils. As a consequence, these effects bring about the complete individualization of cellulose microfibrils tightly bound each other through numerous hydrogen bonds in the original native cellulose fibers with ~30 µm widths to become TEMPO-oxidized cellulose nanofibers with homogeneous ~3 nm widths and lengths >1 µm. These new bio-based nanofibers originating from, for instance, abundant and renewable wood biomass resources, are expected to be used as functional nanofibers applicable to high-tech material fields enabling to prepare strong composite materials and therefore reducing the weight of automobiles, etc. Moreover, a sustainable society using cellulose nanofibers based on wood biomass resources partly in place of fossil resourses may be constructed by establishing a material stream from forestry to frontier industry.